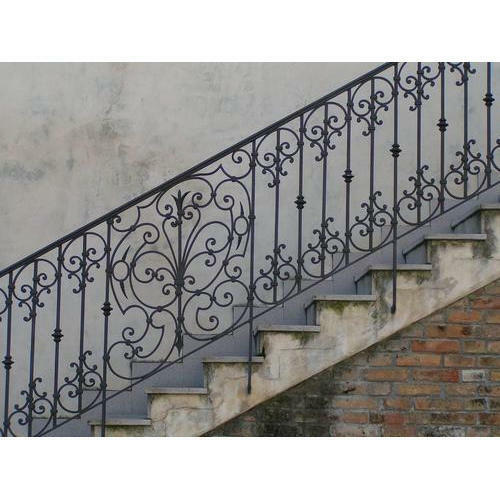 Backed by years of industry experience, we are engaged in offering a premium quality range of Cast Iron Railing. Incepted in the year 1982 at Jaipur (Rajasthan, India), we “Shanti Devi (M) Enterprises” are a Private Limited Company that is an affluent manufacturer of a wide array of Sofa Set, Iron Gate, Iron Railing, Iron Swing, Iron Bed, Garden Chair, Dining Table, etc. We provide these products as per the latest market trends and deliver these at client's premises within the scheduled time frame. We have also selected a team of devoted and capable professionals who helped us to run the operation in a systematic and planned manner. Under the supervision of “Mr. Rudraksh Raj Gupta” (Manager), we have gained huge success in this field.